All season “Deals and Steals” has exclusive deals on the hottest gifts for the holidays. 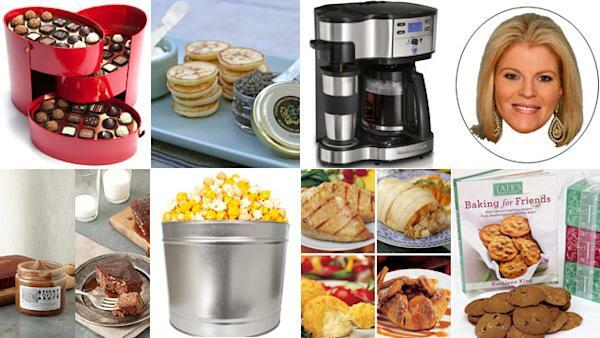 This week, we have a roundup of great gourmet gifts for foodies. From gift boxes with decadent desserts, to the wildly-popular Omaha Steaks, to toffee pudding cakes, to popcorn, brownie bites, and even caviar, these treats will delight everyone, including the hard-to-buy-for person on your gift list. The perfect holiday gift for yourself or a loved one -- and an ideal way to encourage home-cooked meals. 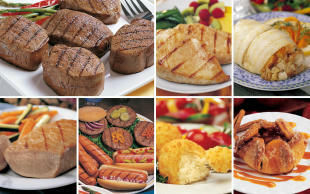 Omaha Steaks has been bringing families together around the dinner table since 1917. Choose from two exclusive packages: Surf & Turf Favorite, including 2 (6 oz) lobster tails, 2 (5 oz) filet mignons, 2 (6 oz) wild salmon and 4 assorted individual cheesecakes. Also available is the Bountiful Gift Assortment, which includes 4 (5 oz) filet mignons, 2 (5 oz) top sirloin, 2 (4.5 oz) stuffed sole, 2 (4 oz) boneless pork chops, 4 (4 oz) boneless chicken breast, 8 (3 oz) gourmet franks, 4 (4 oz) burgers, 8 potatoes au gratin and 4 caramel apple tartlets. Limit three of each of the two packages per household. Shipping is $12.99. 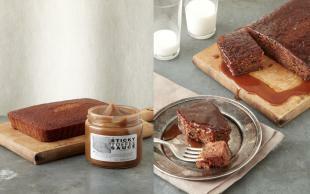 Warm up this winter with gooey, buttery sticky toffee pudding cake, drenched with warm toffee sauce. It’s quick and easy to prep your holiday party, just heat them up in the microwave; also can be stored in the freezer for up to 6 months. This exclusive deal includes two cakes and two jars of toffee sauce. Shipping is $5.95. Celebrate the holiday season with this indulgent treat. 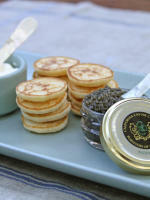 This set was created exclusively for "GMA" with the high-end taste for a low price, which includes all the essentials: 1 oz Paddlefish caviar, 30 blinis, crème fraiche, 2 mother of pearl spoons and a California Caviar cooler tote. Shipping is $7.95. A gourmet snack for a tantalizing taste experience, Gary Poppins is made fresh and in small batches using only the finest ingredients. 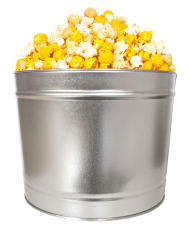 This premium artisan popcorn is available in two options for the deal: the 2-gallon tin or the top 5 popcorn sampler, each including flavors such as caramel, cheddar and kettle. Limit 3 per person. Shipping is $9.95. As seen in O Magazine, sold in high-end department stores and a favorite of Oprah, Bono and Elton John, Julia Baker Confections creates hand-blended fine chocolates that are irresistible and ideal for the hard-to-buy-for person on your list. Chocolate luxury at its finest, these are perfect for gift giving, as they come beautifully packaged. Choose from the 48-piece red hat box, 18-piece window box or 16-piece signature oval box, all including a selection of decadent pieces in dark chocolate ganache, raspberry and milk chocolate. Limit one per order. Shipping is $15. For all the coffee drinkers who need their caffeine fix in the morning, the Hamilton Beach Two-Way Brewer does it all, whether you want it for yourself or to share with the family or office. This low-maintenance coffee maker brews either a 12 cups or a single serve. 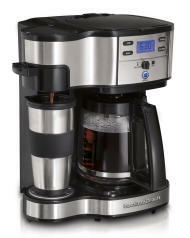 The device includes a 14 oz stainless steel travel mug with lid and 12 cup glass carafe. This is a great option for smaller kitchens that don’t have the room for two separate coffee machines. Shipping is $9.99. 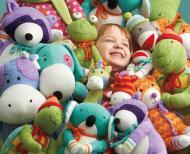 Soft, plush knit characters that are not only adorable but also helps empower children by helping them learn. Each of the Monkeez and Friends characters come with an online code, just visit their website to enter the code and watch three videos from their national charity partners. Kids can then select where 10% of the product cost will be donated. Also, they’ll gain access to Monkeez Island, which is an online game that continues to teach about how helping others is fun. Various size characters are available, from mini to large. Shipping starts at $6. Based in Long Island, this bakery has been praised by the New York Times and Rachael Ray. All natural and made with only the freshest ingredients, this deal includes three cubes of Tate's most famous cookies, including chocolate chip and white chocolate macadamia nut. Also included is a copy of "Baking for Friends," the new cookbook by Tate's owner, Kathleen King. Shipping is $8.95. Satisfy your sweet tooth with the tastiest of treats. 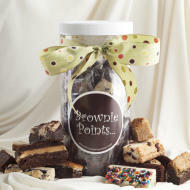 These delicious Brownie Points brownie treats are filled to the top in a gift canister. The 25-piece count comes in an assortment of flavors ranging from fudgy cookie crunch to butterscotch sensation. Shipping is $8.95.